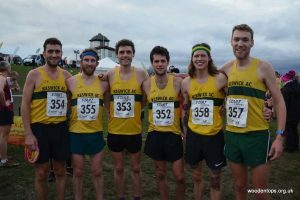 Keswick AC men impress at 2019 Northern XC! 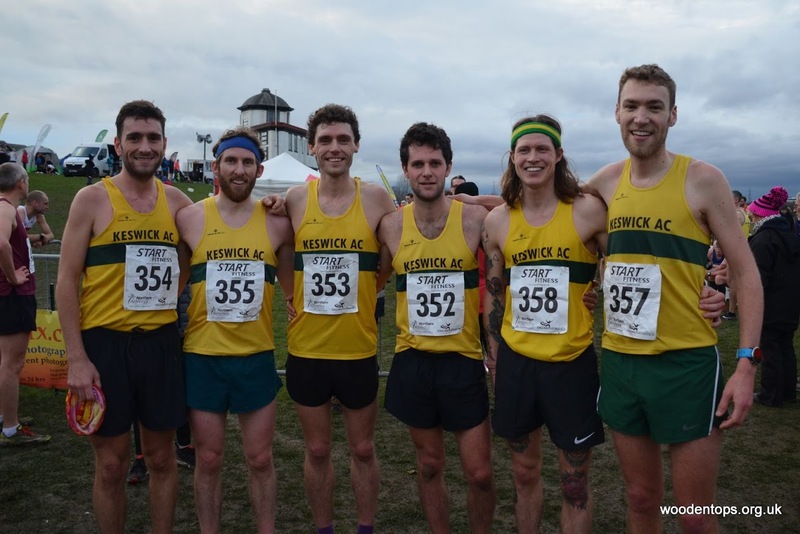 Keswick AC men impress at Northern XC! 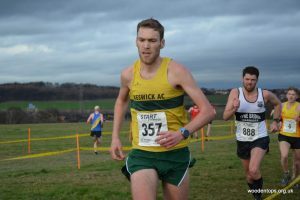 A merry group of seven Keswick AC runners headed down the M1 last weekend for the 2019 Northern Athletics XC Championships, held this year on the fast and runnable terrain of Pontefract racecourse. 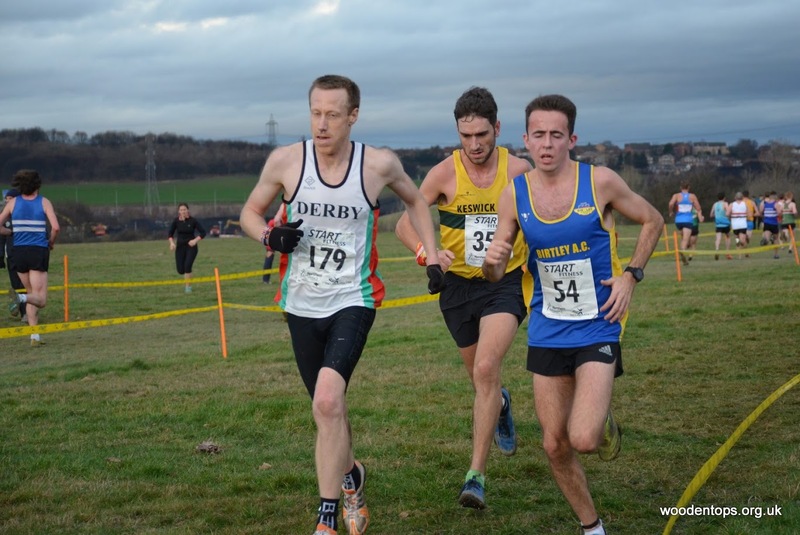 Last used for the Northerns 7 years ago, the Pontefract course utilises the open, rolling parkland encircled by the horse race track, the senior men’s race comprising of 3 laps totalling 12K of running. Dry weather in the weeks and days leading up to the event meant that the going underfoot was firm, with little mud to be found. Despite the firm ground underfoot, the early part of the race was not excessively fast at the front, and both Carl (Bell) and John (Battrick) found themselves well to the fore of the race on the first lap. 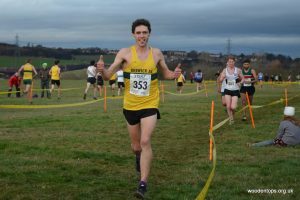 The course design was such that on a couple of sections a 180-degree turn was negotiated, enabling runners to see how their rivals, or team mates were faring behind. Ambitious as ever, there had been some discussion between the lads before the race of just how high it might be possible to get up the team rankings -the Northerns always dominated as it is, by the very best distance running clubs from across the North of England. Would it be possible to cause a stir and trouble the really big clubs this year? As the course looped round for the first time, on lap one, the sight of Carl leading the 704 strong senior men’s field with John sitting right behind in the lead pack gave the rest of the Keswick team a real lift, and the realisation that a good team position really might be on the cards. 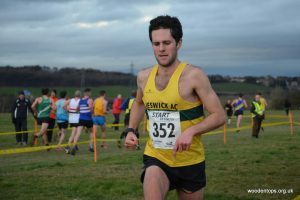 It was on the second lap of three that the speed at the front was ratcheted up by a small group of athletes, including last year’s winner Carl Avery of Morpeth Harriers. Carl and John had to battle hard from here, while Dan (Haworth) now moved strongly through the field after a more conservative start. Mark Lamb not far behind, put in a heroic turn for the team -in some discomfort with stomach issues. A chasing trio of Sam (Stead), Calum (Tinnion) and Steve (Hebblethwaite) rounded out the team’s placings, and there were a few surprised murmurs and encouragement from spectators along the course who could tell Keswick were packing pretty well. The final lap completed, runners streamed across the finish line in quick succession and it was hard to work out the results immediately. Time for a quick photo and cool down jog, and it was back to the cars for the drive home, satisfied with the feeling that everyone had run hard and given a good account of ourselves. 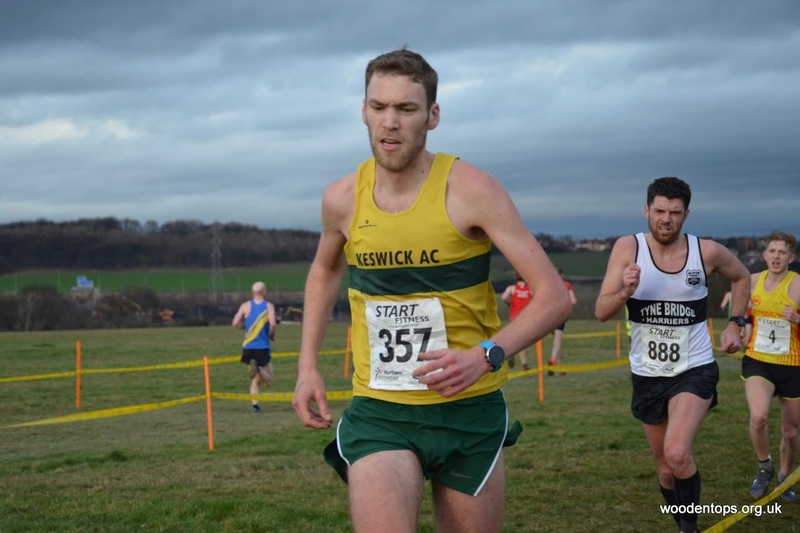 It was only once the team were heading back up the M1 that the news filtered through -Keswick AC had placed 4th team, just out of reach of the medals, behind Sale Harriers, Leeds City and Liverpool Harriers! This is a seriously good result against some top distance running clubs and the best team performance at these championships by a Keswick team for many years, certainly within in anybody’s memory. It is hoped that a big contingent of guys and girls from the club will travel to the event again when it is next held, in January 2020 -we can all vouch that it is a really great and fun day out. 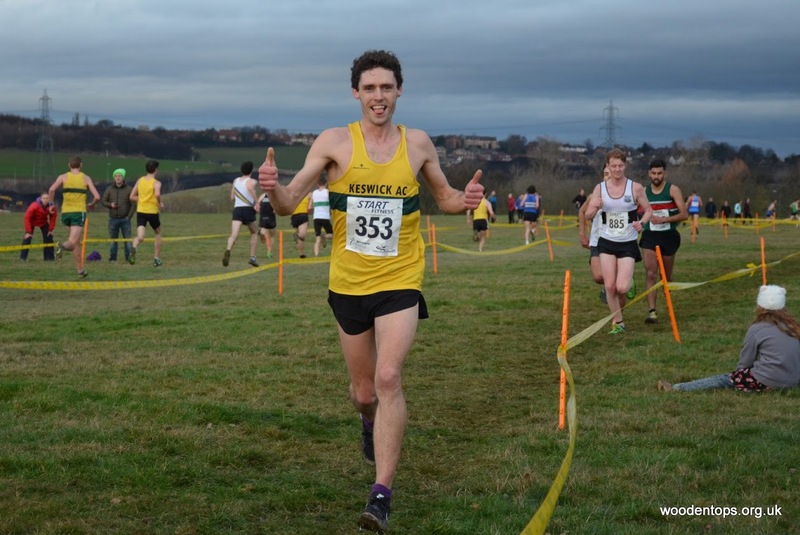 The next Northern Championship action will be the Northern 12 Stage Road Relays on Sunday 24th March.